After four years and 24 releases, Holy Cow Entertainment’s new era takes a step away from mythology in order to explore new characters, adventures and genres. For the enthusiast, Holy Cow Entertainment does not need an introduction. With their series Ravanayan allowing the reader to witness the ten-headed demon king as the protagonist, mythological representations in Indian comics broke away from the trite depictions of the good and the evil. In their other hugely successful series, Aghori, they dared to explore a world dark and menacing, inspired by Shaiva sadhus who devour the flesh of the dead. But now that both these incredible series have come to an end, what lies ahead? Marking the beginning of their new phase, Shaitan is a black-ops thriller series set in the barren Astola Island of Pakistan. Tilted Toy Soldiers, the first book introduces us to a small group of special agents on a mission – one they believe to be their last before they finally head home after four long years. On the trail of strange activity picked up by intel on the island, the group of soldiers eventually discover an incredible sight – an impressive and intimidating Kali temple. As the soldiers investigate further, things start getting weird. 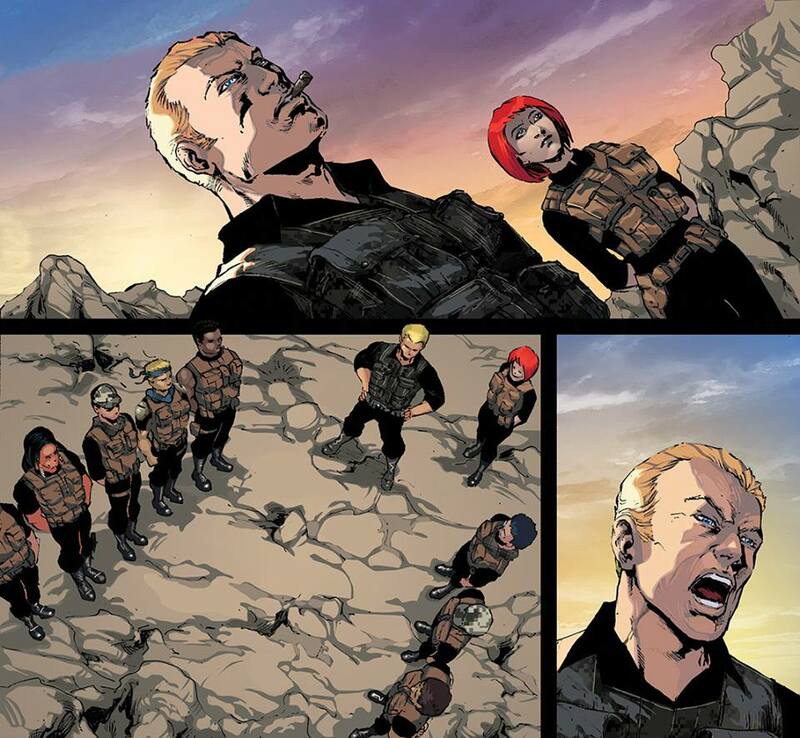 Starting with behavioural changes and ending with supernatural nightmares, it isn’t long for the soldiers to realise that there is something wrong on the island. And when they finally decide to explore the temple in order to find one of their missing mates, they come face-to-face with a pack of blood-thirsty demons. But as they are about to give up hope and succumb to the bloody war, a strange man comes to their rescue- long haired and dishevelled, it is only in the very last page of the book that we get the first glimpse of Shaitan. 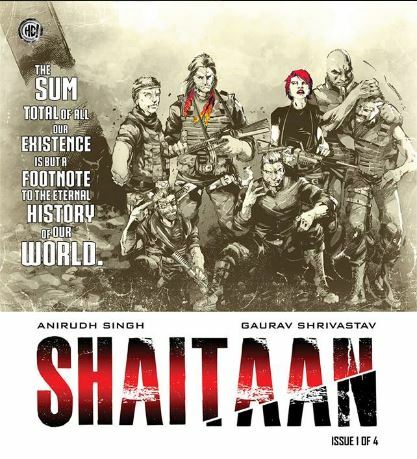 Though Shaitan has been conceptualised and created by Vivek Goel, CEO, Holy Cow Entertainment, this series is however being executed by Anirudh Singh and Gaurav Shrivastav. “Shaitan is the story about a man who has been around since World War I. In fact, he’s been there in World War II and we eventually see him be an integral part of the Azad Hind Fauj as well,” begins Goel, explaining the origins of this new ‘superhero’. “What is special about this man is the simple fact that he cannot be hurt. And that is all I am willing to share for now,” he laughs. With the aim to create superheroes from varying cultural backgrounds to debunk myths revolving around the superhero genre, he gives us a sneak peek into some of the new series. “There is Dahek, HCE’s first female protagonist,” he says. 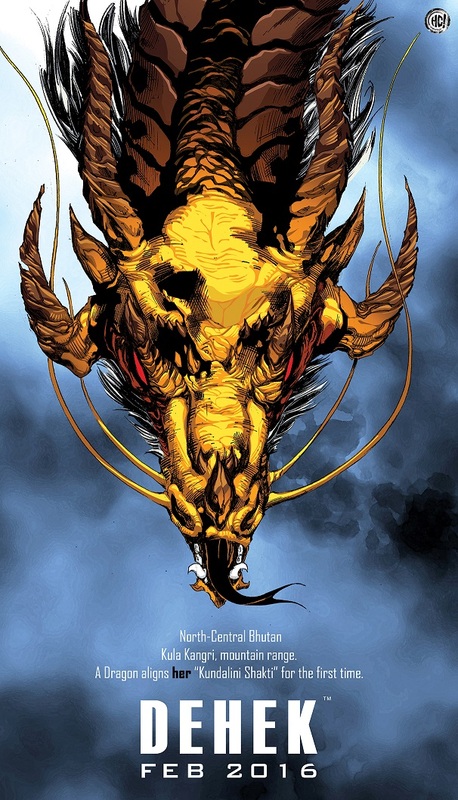 “Dahek can be traced back to Bhutan and with her, we will explore the dragon-lore of India.” After Dahek, he has yet another superhero waiting to be discovered in the forests of Arunachal. 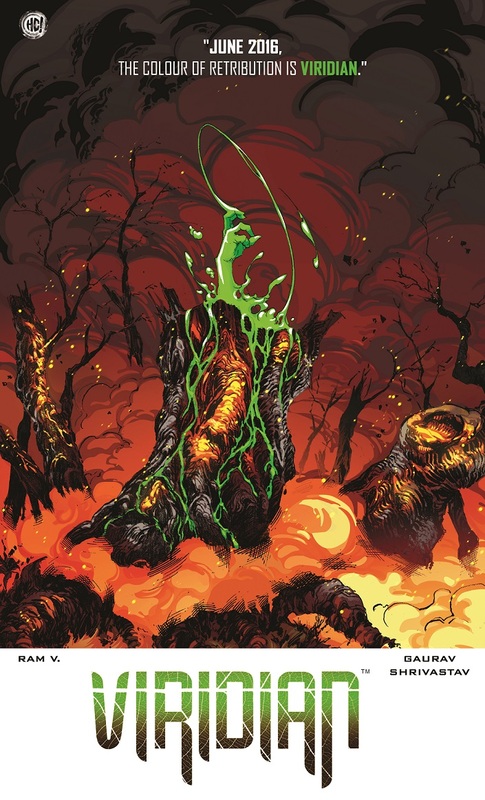 “Viridian, when I first conceptualised it, came across to my partners as a take on Alan Moore’s Swamp Thing. But with careful research and endless brainstorming, he is nothing like what he started out as,” he confesses. And though this arc starts on the note of war with Shaitan, Goel’s answers make us realise that it isn’t the only genre or narrative they will dabble in. And as each of these characters establishes themselves as superheroes in their own rights, Goel asks us to look out for crossovers and cameos. But without any guidance, isn’t there a chance for the world to get rather confusing? 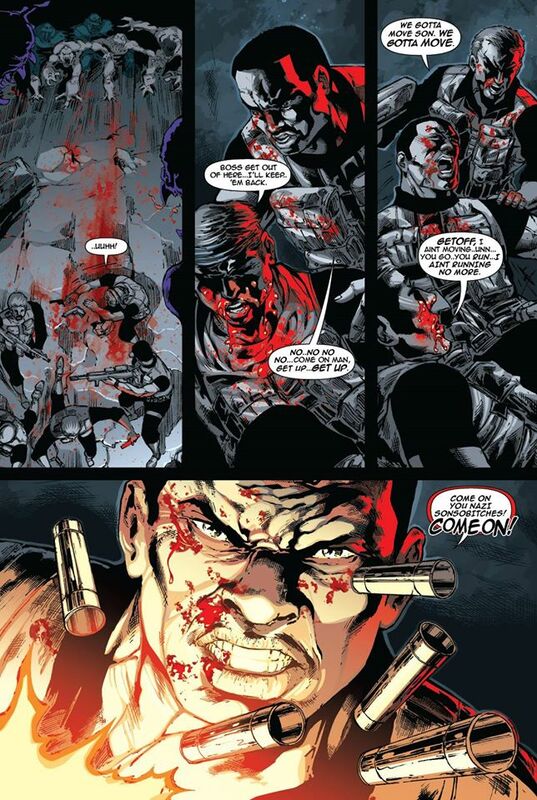 “English comic book readers in India are a smart lot. Every single time I have given any of my characters minor appearances in other series, they have been quick to understand that. So now I see no reason to spoon-feed them anything. The joy of putting things together and seeing a multiverse come together is something one cannot deny a true fan,” Goel signs off. While a lot of people might believe that HCE is making tall claims, I would like to take a minute to remind them that in India, this is perhaps the only independent publishing house that can stand its ground in front of giants like Amar Chitra Katha and Raj Comics. From regularising publishing cycles to even paying attention to the sizes of their books, they prove to readers that comics aren’t exactly child’s play. And driven by the vision to take comics seriously, they promise to introduce us to the largest multiverse in the history of Indian comics!